In stock -This product will ship today if ordered within the next 13 hours and 4 minutes. 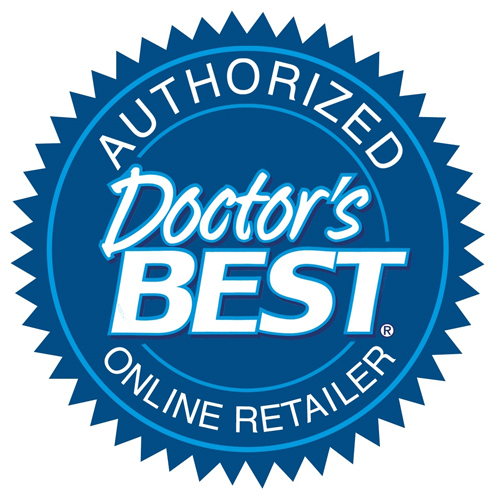 Best Hyaluronic Acid with Chondroitin Sulphate contains patented BioCell Collagen. Components of BioCell Collagen including collagen type II, chondroitin sulphate and hyaluronic acid (HA) can provide support for healthy joint function and maintaining joint shock absorption and cushioning. Collagen is the main protein of connective tissue in animals and the most abundant protein in mammals, making up about 25% of the total. It is tough and inextensible, with great tensile strength, it is the main component of cartilage, ligaments and tendons and the main protein component of bone and teeth. Collagen is responsible for skin strength and elasticity, and its degradation leads to wrinkles that accompany ageing. It strengthens blood vessels and plays a role in tissue development. It is also present in the cornea and lens of the eye in crystalline form. Collagen acts as a scaffolding for our bodies, it controls cell shape and differentiation. The body uses collagen when blood vessels grow. Collagen is the fibrous protein constituent of skin, cartilage, bone, and other connective tissue. While collagen gives the skin its firmness, it is Hyaluronic acid that nourishes and hydrates the collagen. HA also acts as a ‘space filler’ between skin cells by absorbing water and helping to keep the skin wrinkle-free. Hyaluronic Acid and Collagen are both vital components of skin tissue. Collagen is a vital structural component of the skin. It is also one of the most important substances required for proper skin barrier function and health. Collagen, as a major component of the connective tissue, provides structural support, increasing elasticity and tone of the skin. Rice powder, gelatine (capsule), magnesium stearate (vegetable source). Adults: Take 2 capsules daily, or as directed by a health care practitioner. Take with 250ml of water, with or without food. 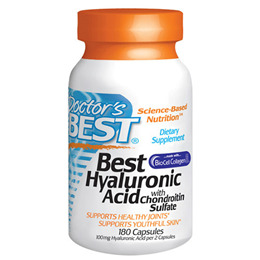 Below are reviews of Best Hyaluronic Acid with Chondroitin - 180 Capsules by bodykind customers. If you have tried this product we'd love to hear what you think so please leave a review. The best buy on the market. My trick knee needs two capsules every morning. No more pains and it works like a charm when I climb the stairs. I wouldn't go anywhere else than bodykind to buy it, best price and good delivery systems to Malta. I have only just got this so it seems a bit early to be leaving a review...so far, its good. Includes collagen type II, chondroitin sulphate and hyaluronic acid (HA) which can support proteoglycans in the joint matrix, thereby providing support for healthy joint function.